Gulab Jamun literally translated to rose berries, while rose means gulab and jamun are deep purple colour berries. 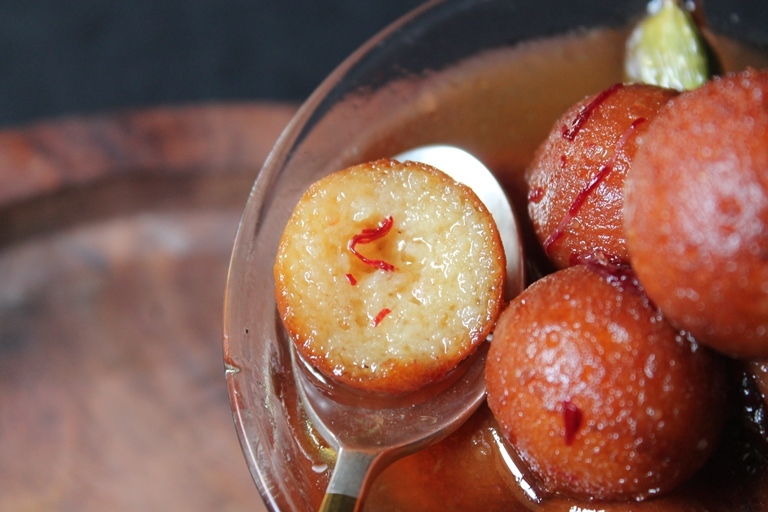 Wondering how to make gulab jamun? You've come to the right place. 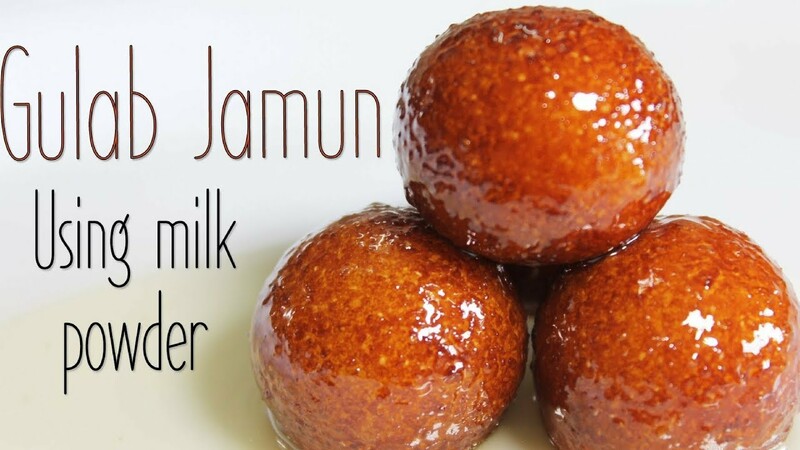 Yes, you can now make Pakistan's favourite dessert in the comfort of your home with simple gulab jamun recipe with milk powder. Today I going to Share Gulab jamun recipe with step by step photo and video tutorial. Gulab jamun is dessert recipe prepared from milk solids which are then dipped in hot sugar syrup called (sheera). Traditionally, it is prepared from milk khoya(concentration of milk). However, there are several other easy variations as well. Like such variations are preparing with easily available milk powder. Gulab jamun can also be prepared khoya and with instant gulab jamun mix too. In a saucepan, add water, sugar, cardamom and cook until sugar is dissolved. In a bowl, add dry milk powder, all-purpose flour, baking powder, cardamom seeds and mix well.Add ghee and mix until crumbled. Add milk and mix well, cover and refrigerate for 10 minutes. Wet your hands with water and knead until smooth dough. Now makes 10-12 small smooth balls of the same size, make sure they have no cracks. In wok, heat ghee and fry on low flame while stirring gently.Make sure ghee is not very hot otherwise gulab jamun will not cook well from inside or will burn. When gulab jamuns becomes golden, add them directly to the hot sugar syrup and leave it for 30 minutes.Garnish with pistachio and serve. Saucepan mein pani,cheeni aur hari elaichi dal ker cheeni ghul janay tak paka lein. Bowl mein dry milk powder,maida,baking powder aur hari elaichi seeds dal ker ache tarhan mix ker lein. Ghee dal ker crumbled hunay tak mix ker lein. Doodh dal ker ache tarhan mix karein,dhak ker 10 minutes kliya refrigerate ker lein. Haathon ko pani sa geela karein aur dough ko dubara ghond lein. Ab is mein sa ek size ki 10-12 choti smooth balls bana lein,is baat ka khayal rakhein ka balls mein koi cracks na hun. Karhai mein ghee garam karein aur halki ancch per fry ker lein aur musalsal stir kertay rahein. Is baat ka khayal rakhein ka ghee bohat ziyada garam na ho werna gulab jamun ander sa kachay reh jayenga ya phr jal jayenga. Jab gulab jamun golden ho jayen tou foran garam sheeray mein dal dein aur 30 minutes kliya chor dein. Pista sa garnish ker ka serve karein.